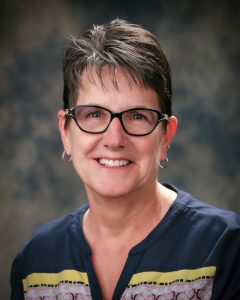 Lori Rose joined KBBH in 2013 bringing 30 years of professional experience in serving high-needs populations to the fastest growing behavioral clinic in southern Oregon. An advocate by nature, Lori has served those with disabilities, severe mental illness, and substance use disorders in a variety of roles including supported employment, case management, and adult foster care certification. She is a loyal champion of the individual and applies her vast knowledge and skill set to human resources strategy, professional development, and continuous process improvement for the 200+ staff members at KBBH. With Lori’s passion to provide the highest quality human resources support, KBBH can recruit and retain professionals who are seeking to make a difference with meaningful work and inspiring colleagues. Lori celebrates diversity and her unique personal and professional experience has provided many opportunities to work with individuals and families from a wide variety of cultures and backgrounds. Lori’s personal life is full of quality time with her family and friends, camping, boating, and traveling at every opportunity.